Designer of all things chic and versatile, Kyoko Nakayoshi let us in on some of her designer secrets. To see all of her gorgeous patterns, click here. Hello Kyoko! Tell us a little bit about yourself – what’s your story? I am the founder of Cotton & Cloud. I was born in Japan and have lived in the UK for more than half of my life. I live in London with my husband, my cat (I love cats) and now my one year old daughter! Knitting is my passion. I design knitwear and accessories that are unique and timeless. I started knitting when I was 7. What influenced you to found Cotton & Cloud? For a very short period of time, I knitted and sold some of my own original designs. Many people asked me if they could buy the patterns so I decided to sell the patterns. At that time I was working as a pharmacist and I then decided that I really wanted to do something that I love which is knitting. After realising that many people liked my original knitting designs, I gathered the courage to completely change my career! You describe your style as a unique blend of Japanese and Western cultures. How do these cultures show through in your designs? I think through a combination of contrasting techniques colours or shapes. For example, Temari cardigan has simple sleeve details and stocking stitch over round cable work. Cable yoke jacket (both baby and adult versions) and reversible mittens and glove patterns are my two most popular designs. Wrap and turn is the technique which I always enjoyed using. I also like knitted turned ridge because it makes a neat edge. I haven’t knitted for myself for a long time. Last year I promised to myself that I would knit for my husband for Christmas and made a pair of lovely gloves of my own design using hand dyes sock yarn that I bought on Etsy. What’s next? Can you give us any clues about what you’re working on? I am currently working on a collection of really lovely baby designs. As I am now a full time mum things are going very slowly but it will be done soon. I can’t wait to publish them! Semi solid merino sock yarn. I like things to be neat at home but never perfectly able to achieve neatness! To see all of Kyoko Nakayoshi’s fabulous fusion patterns, click here – there’s plenty more patterns to peruse! Last updated: April 29th, 2015. Are any of her patterns currently free to download, they are stunning. My thoughts exactly! Beautiful designs. Just click on the picture of your favourite design and you are taken to another page where you can download all these patterns. They are priced accordingly. Thank you for sharing. Are the shawl patterns written or charted or both? Since I do not (nor will I ever) knit from a chart, I need this information before purchasing. Thank you. I said the same thing many times. Then I decided to give charts a try and they are easy as pie. Try doingit. Read from the bottom up, right to left… Or get online and find a video for reading charts.You can do it, I know you can. No thanks – I have & if that was the only way I could knit I’d have to quit. I’m a slow knitter, want to enjoy it, and those charts are like pure torture to me. I know many love them, but I surely don’t. Having bought a pattern which was only charted, trying to decipher it, having to get help from a friend who did use charts only to find that the chart was backwards to what most are (read left to right) I think finished me with charts (the company returned my money and verified the pattern was incorrect). It takes me twice as long to do a row trying to decipher a chart as reading the written stitches. Thanks for your answer though! I guess I don’t understand why that info isn’t given for every pattern – that would be like buying a car showing a nice picture but you don’t know if the transmission is automatic or manual or much more information. I have learned not to spend my retirement money when I don’t know what I’m buying. Kyoko’s patterns are all written and charted, so you should be totally fine to splurge on one of these gorgeous patterns! Happy knitting! I am currently knitting your textured scarf and enjoying it. I like all your designs so far. Thank you. I wanted to buy the patterns for the shawls as well as the hooded yoke jacket but no answer to whether they are written or not. The funniest is that I went looking for the yarn to make the jacket to see the cost and source – not to be found (and this is a new pattern!) so I enlisted the help of two accomplished knitting friends as I thought it was my error – they couldn’t find it either. 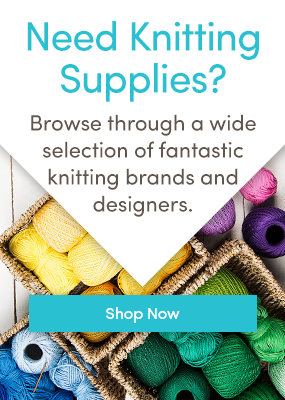 I’ve encountered too many problems it seems………………..I always am amazed that knitting sites can’t furnish basic needed information. Drat – love these patterns!! I’m sorry that you had trouble finding the information you needed. You can use any chunky, bulky weight yarn for this jacket, and you would need between 1000 – 1300 yards depending on which size you need. This pattern is written and charted so as to facilitate the needs of all knitters. Happy knitting! I went to the jamiesonsofshetland.co.ok website and found that the yarn is Chianti under Shetland Heather and Marl, not Mark.